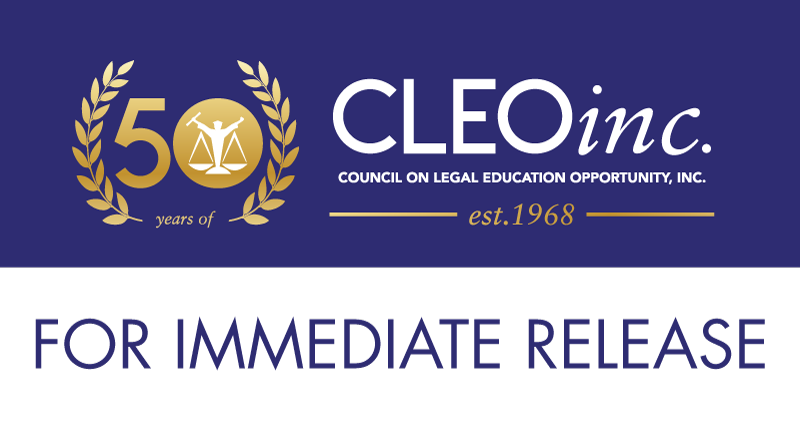 Largo, MD – October 3, 2018 – Honorees for the Council on Legal Education Opportunity, Inc.’s CLEO EDGE Award for Greater Equality were announced today. This is CLEO’s final honor in three categories of accolades. The first two categories were Education and Diversity. The 50-year old organization will shine a spotlight on these individuals, law schools, and organizations that have impacted legal education, the legal profession, and society at its Awards Gala on November 15, 2018, at The Ritz Carlton Washington, DC, where Vernon E. Jordan, Jr. will receive CLEO’s inaugural CLEO EDGE Vernon E. Jordan, Jr. Heritage Award. CLEO, widely renowned for its mission to increase the number of lawyers from diverse and disadvantaged backgrounds, created these recognition awards to promote its focus on the three pillars or characteristics which undergird the organization’s purpose and in recognition of the its 50th anniversary. Those pillars are Education, Diversity, and Greater Equality. “We are indebted to these 50 egalitarians–outstanding individuals and organizations–that have demonstrated their commitment to the equality of all people and, in so doing, helped advance our society,” remarked Cassandra Sneed Ogden, CLEO’s Chief Executive Officer.